With WordPress you can not only create beautiful blogs, professional business websites or dynamic online magazines, but you can also run fully functional social networks. While using the popular BuddyPress plugin, you can create networks to let people with same interests connect with each other and grow a community. BuddyPress is the perfect solution if you would like to run professional platforms where people can register, create their own profiles, post messages and share information and content with ease. BuddyPress allows you to actively grow communities, no matter what field or type of community – like for example favorite sports clubs, sharing recipes, school groups, music fans or niche communities. BuddyPress WordPress themes usually offer all necessary features and options you’ll need to connect people with each other. Some of these community WordPress themes have BuddyPress integrated to offer full functionality, other templates are compatible with BuddyPress and leave it up to you if and when you would like to add a social network to your website. For almost every kind of website, there are nice and professional BuddyPress WordPress themes available. For example you can create vivid online magazines, review platforms, portfolio sites, online shops, business or blog websites and have the BuddyPress plugin installed to extend your website with a social network or run forums with bbPress. That way you are able to set up social networks and communities with ease and provide all those features that are necessary to run advanced social or professional networks based on WordPress. NRGNetwork is a powerful WordPress theme to create portfolio websites in combination with social networks by using the popular BuddyPress plugin. NRGNetwork is ideal to display creative works via portfolios and let users share your works or collect and like items. This BuddyPress WordPress theme lets you display your works, authors or project lists nicely…. Plexus is a feature-rich WordPress theme with BuddyPress and bbPress integration to easily create vivid networks. 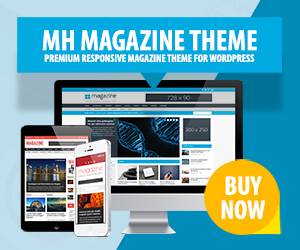 This BuddyPress WordPress theme is responsive and retina ready and comes with a skin manager to customize your site according to your needs and requirements. Using the advanced admin panel, you may further tweak your network as you like….